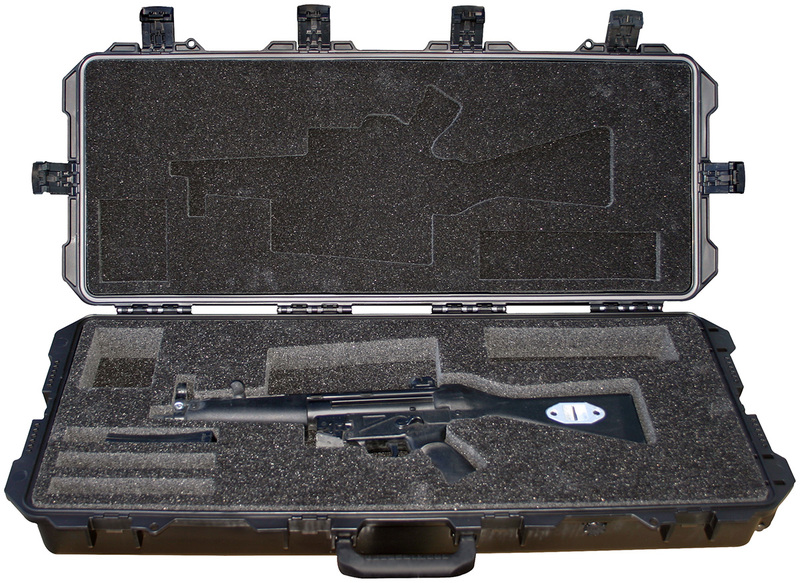 Injection molded Pelican™ Storm Case™ with HPX resin plastic body case with polyethylene foam cushion designed to fit (1) MP5 (with or without suppressor). 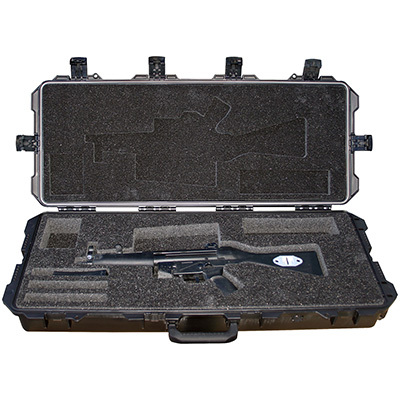 Unique foam cavities easily accommodates dual magazines, shoulder harness, slings, and cleaning kits. Airtight / Watertight case features automatic pressure equalization valve, (6) hinged push-button latches, (2) padlockable hasps, (1) padded handle, (1) extra wide padded handle with recessed inline wheels and waterproof O-ring gasket. Meets airline luggage regulations.